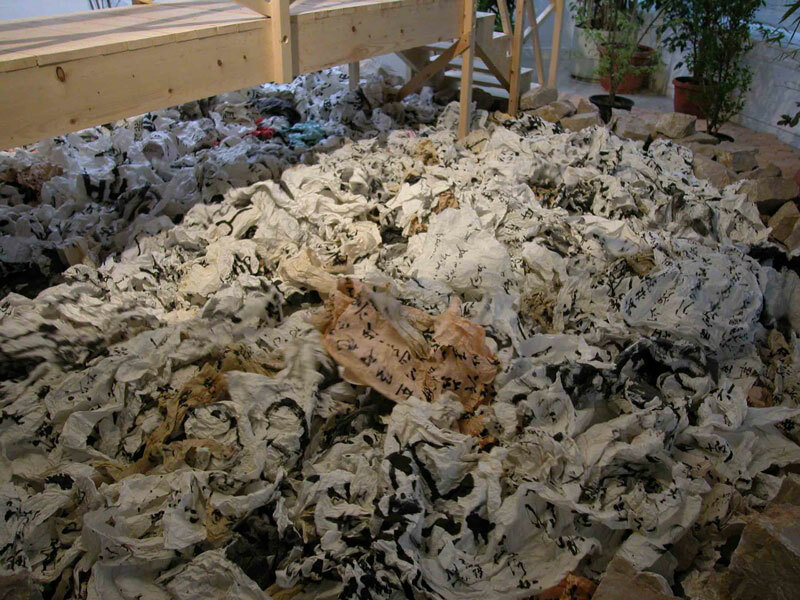 Yangjiang Group is an artistic group founded in 2002 by Zheng Guogu, Chen Zaiyan and Sun Qinglin, they take Chinese calligraphy as the unique media to develop diverse contemporary art practices. 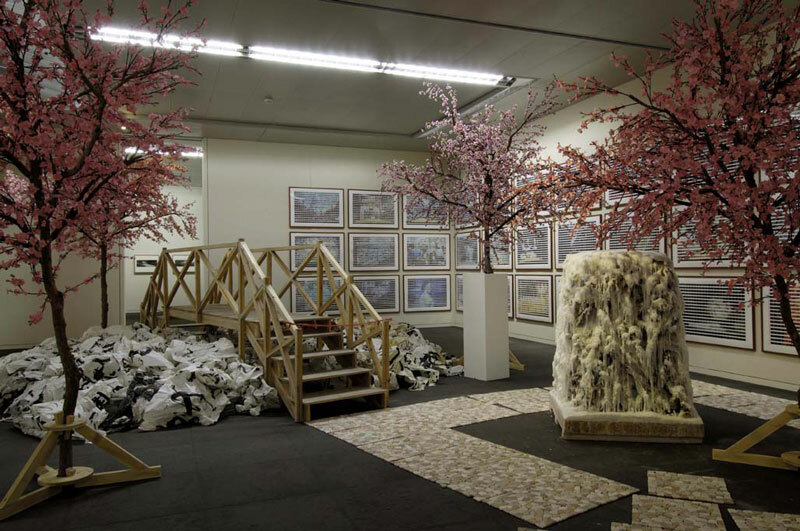 Corresponding to the flexibility and individuality of life space in Southern Chinese context, Yangjiang Group’s Garden project responses to different spacial situations, it explores how a “small utopia” could be constructed within limited elements such as trees, bridge, pond, waterfull,which suggested by Chinese classical philosophy meantime nevertheless confront with the social transformation and global movement, there, calligraphy becomes the metaphorical illustrations to imply the life uncertainty and mystery. 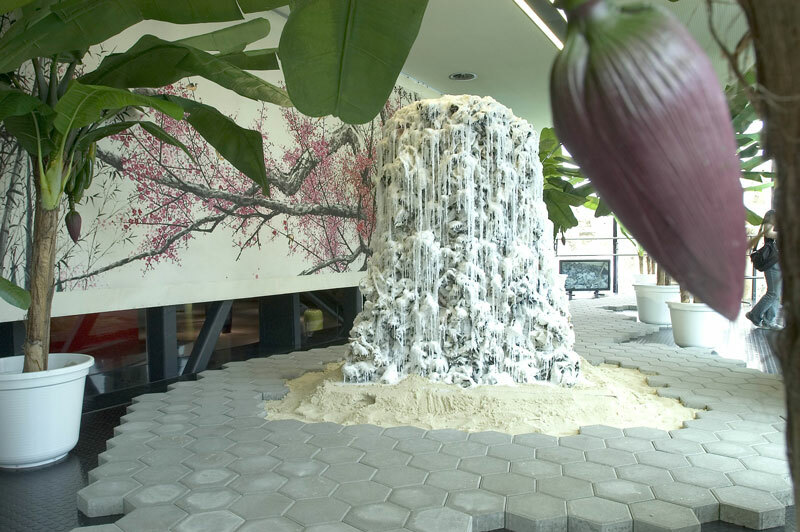 In Gaden Project, “pond” and “waterfull” actually are calligraphy installations. In the pond, there are thousands of calligraphy works, which are related to our daily media contents, and the drawing that contains the special images in our routine life, these calligraphy works and drawings are continually shaking under the influence of massager, looks like waves in the lake; The artificial trees will construct the “nature scenery” of the garden, the visitors can walk into the garden and enjoy the landscape, they will cross the pond by the bridge, and see the “waterfall”- a beautiful calligraphy installation – in the garden. The garden is a kind of maze consists by some basic elements, bridge, trees, paths, nevertheless it constantly adaps to different environments and communicates with the vistors, it opens up a “middle zone” in a public space framework, which would provide chance for people to have a breath and raise the new perception of the surroundings. 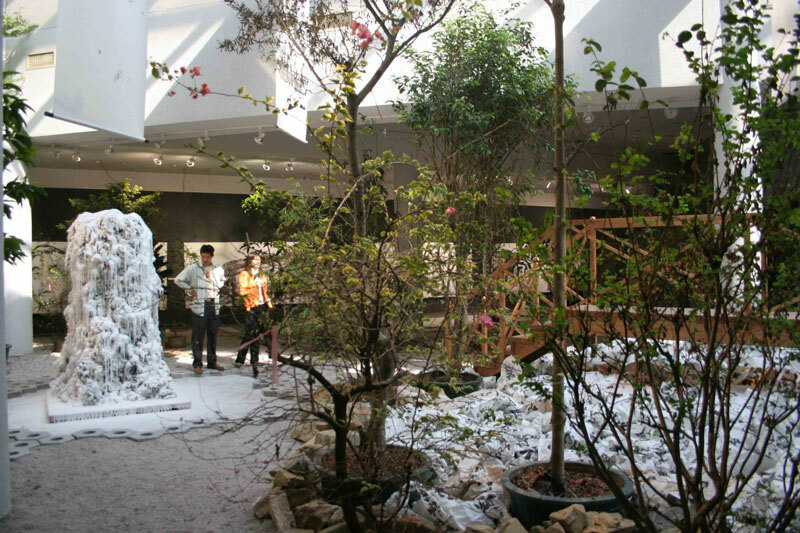 A wax-covered plinth, it evokes traditional Chinese landscape painting, with its rising mountains and plateaus, as well as contemporary minimalist sculpture. 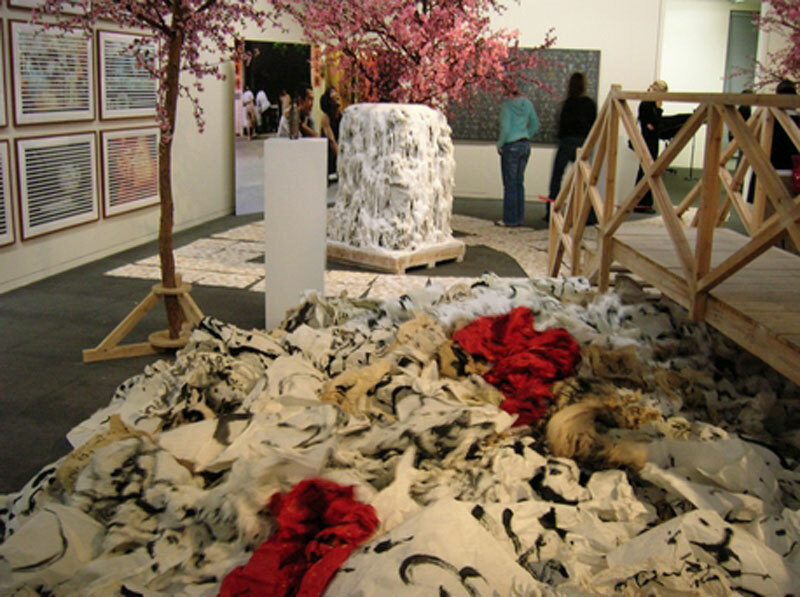 But it really represents a subversive act: Zheng and colleagues (the Yang Jiang Group) invited the public to make hundreds of calligraphic texts, which the artists gathered together, dipped in wax to create a solid mass, and presented as a “waterfall.” The act not only bridges the centuries but contains many stories in one visual object.